Superpowers let you create account admins, and give people the ability to create new projects. 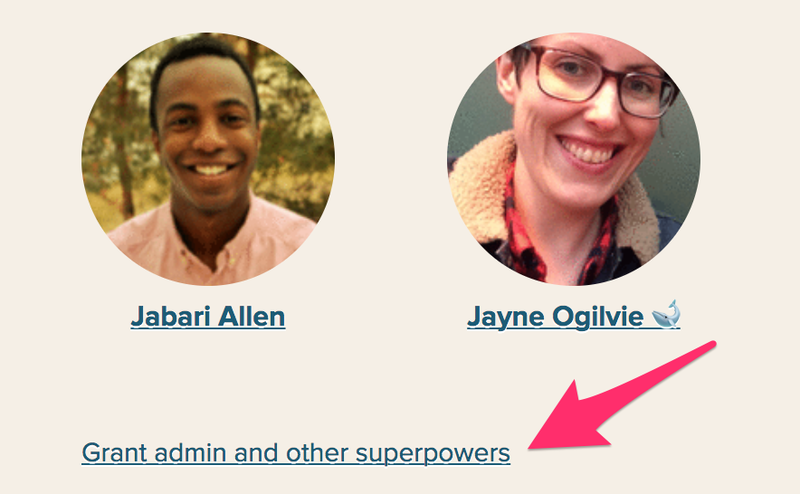 Under the recently active people, click "Grant admin and other superpowers." Check the boxes by each person to enable or disable superpowers. Admins can see everyone in the account, create projects, delete project items, remove users, and grant admin permissions to other people. Billing liaisons can upgrade or downgrade your account plan, and update the credit card on file. They can cancel and pause an account. Billing liaisons do not automatically have admin powers. The Can create projects superpower allows people to create a new project in the account.